Hey sharie, discover Sharify App because is about to get launched. The Social Network for all our “What could I do right now?”. For the very first time, it’s possible to discover what’s happening around right now and who would like to join for a concert, exposition, beer, running-time or coffee-time, from your phone. What can you do with Sharify app? Sharify App is the app online to enjoy offline. You can share and join different experiences and moments around you or where you’ll go to. If you want to discover a new city, live like a local or you have a great activity that you need to share with someone you’ll love Sharify. This is the app to live the now. For the ones that enjoy sharing moments. For the ones who love technology but also, they like to disconnect their smartphones to see the life they have in front. Here goes an example, Enric is a musician, who sometimes practices in parks such as La Ciutadella. With Sharify, he will be able to share when playing the guitar in La Ciutadella with people nearby who would like to come and join. You may find him in Sharify one day! In fact, Enric Verdaguer is studying in the UK so you could find him both in Barcelona and Liverpool (or in one of his trips). He’s a really cool fella and an amazing musician. Music is better when shared, so it’s time to empower musicians to listen, sing and play all together! Like Enric, everyone will have their profile connected with Facebook or Google. Before joining an activity you will be able to discover a little about how she/he is. Is the sharie social and open? Music lover? Worldwide traveler? Sportive? How can I publish Sharify moments? Throw a live map you’ll find different categories: relax, sports, beer, coffee, music, and Sharify. The last one is for choosing any activity you want to share picking an emoji of your phone. It’s free to publish them and can be shared from every corner of the world. If you’re in Australia and want to go surfing with someone around, or if you’re in Les Alps and your friends are not up to ski the hardest ski slope, you’ll love Sharify. You just have to decide what to share, when and where, and let’s Sharify! Did you register to become a beta tester? Don’t worry we have the solution. You just need to put your email here and in a month we’ll send an email to download the Sharify Beta App. 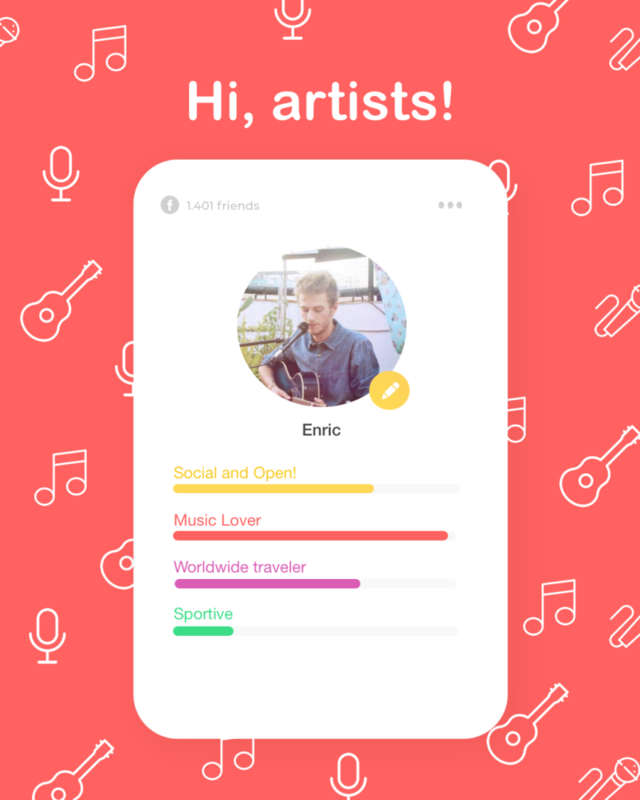 If you’re a musician and like the project of Sharify, just send us a message in partnerships@sharifyapp.com. We would love to find cool ways to collaborate!